Across The Pond Wrestling: Why I didn't write a Survivor Series 2013 Review! 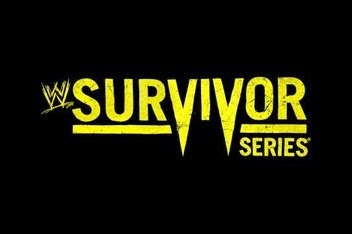 Okay, I've been thinking about this one for a few days, and I even started to write up a review of this year's WWE Survivor Series, but then I thought against it. This article will hopefully got some way to explaining why this is the first PPV I haven't reviewed since this year's Wrestlemania. Firstly, I'd like to say that I don't think this PPV was as bad as many people have been saying, with the highlight being the opening bout pitting Goldust, Cody Rhodes, The Usos & Rey Mysterio against The Shield and The Real Americans in a Traditional Survivor Series match, and neither did I think the main event was the worst thing I've seen this year, it told a story and did the best it could do with what is was given. My problem with this PPV was the distinct lack of effort that was put in across the board, from WWE Creative and some members of the roster, in both the build up and execution of the PPV and if there's no effort being put into the product, why should I put the effort into writing a 4000 word review? I'm happy to review a terrible PPV, if there's at least some effort going into it, but not this. At no point during the build up was I made to believe that Alberto Del Rio could defeat John Cena for the World Heavyweight Championship, with the same being able to be said about Big Show going after Randy Orton's WWE Championship, these were stop gap matches until something else came along, and whilst from time to time that may happen within the WWE, it should never feel that way when watching the programming. It's the job of the booking staff or “writers”, alongside the on screen talent, to make me believe that either man could head out of the PPV with holding the championship belt. However, after Cena defeated Del Rio on the previous PPV with an injured arm, how was I meant to buy into the possibility that Del Rio could defeat a Cena with a slightly less injured arm? Meanwhile, the focus on television had clearly shifted off Big Show and on to Randy Orton's relationship with The Authority, which is weird considering the focus had been on Big Show for months without Show featuring on a PPV! The whole PPV seemed to focus and build towards the final moments, where John Cena came out to stare down Randy Orton with Triple H and Stephanie McMahon looking on. It was a big moment and the crowd certainly reacted to it, (although I think they were expected a match between the two straight away) but there was one problem...it wasn't advertised! It did nothing to help towards PPV buys, and whilst it could have contributed to a rise in the ratings for Raw this week, the PPV buyers should always come first, in my opinion, especially seeing as it's a much more direct form of revenue for the company. The rest of the PPV was a mainly bland affair, with CM Punk & Daniel Bryan's bout with The Wyatt Family's Erick Rowan and Luke Harper being the only stand out in the middle of the pack, a dull Intercontentinal Championship match between Big E Langston and Curtis Axel that was only ever going to go one way and Mark Henry answering Ryback's open challenge both failing to produce anything of warrant, beyond the ill fate of both former Paul Heyman guys. The Diva's Tag Match wasn't as bad as I imagined it would be, and there were some nice moments in the match, but it was clear that most of the women weren't ready for a match like this one.